The Writer is now available in its 5th Edition. 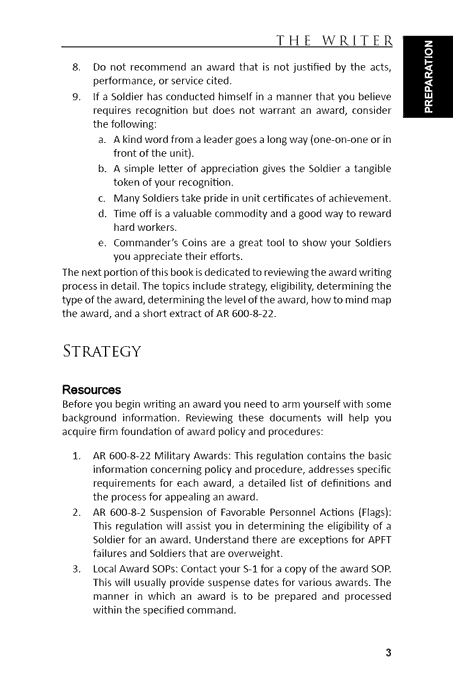 Includes over 350 approved award examples and combat awards. Delivers a step-by-step walk through, complete with a checklist, flowcharts, examples and blank templates. 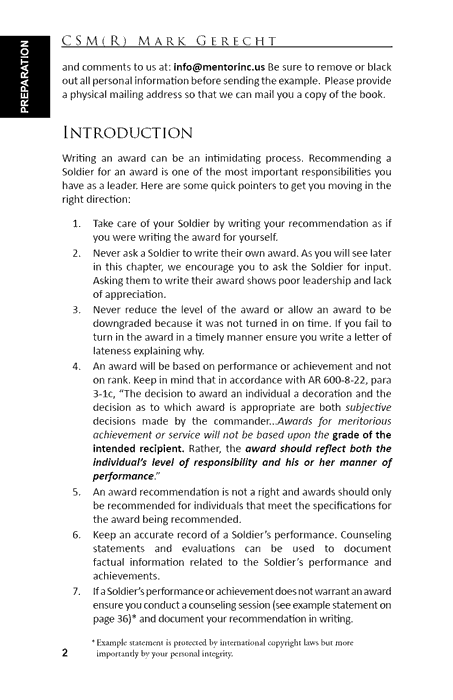 The Writer also includes extracts from AR 600-8-22 to help explain regulation in regards to specific awards and medals. Learn how to reduce the amount of time spent constructing awards while increasing the likelihood that your award recommendation will be approved as written. 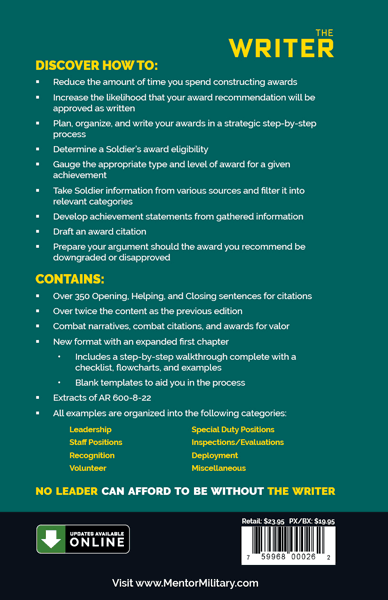 Discover how to plan, organize, and write your awards in a strategic step-by-step process. 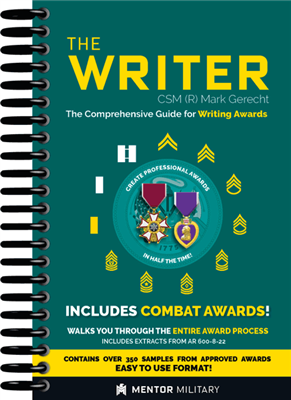 This is the new and improved 4th edition, which includes a new easy-to-navigate format, an expanded first chapter, and over 350 Opening, Helping, and Closing sentences for citations are provided to make your award citation shine. 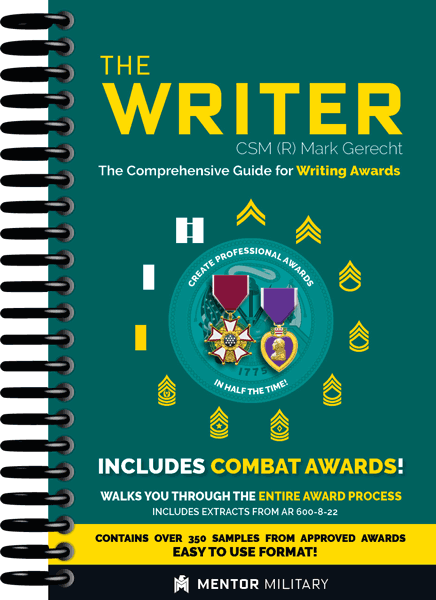 Learn how to compose combat narratives, combat citations, and awards for valor.